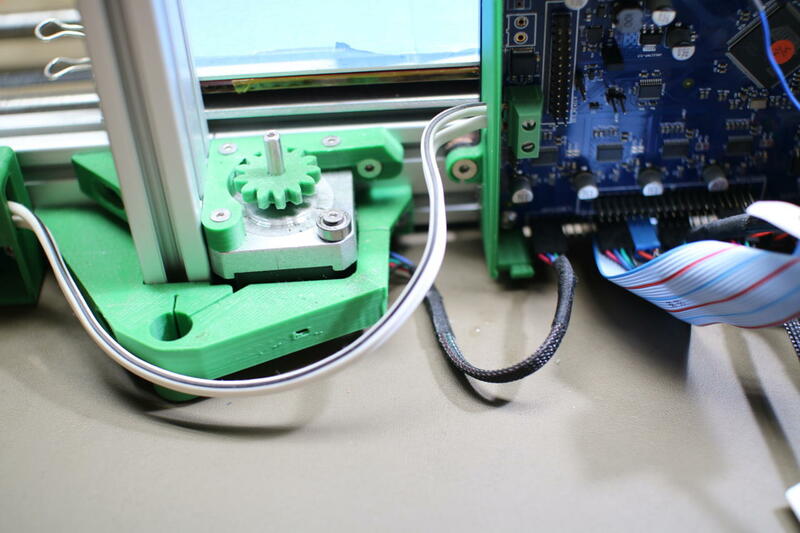 Similar to many 3d printer designs, many of the parts on this 3d printer are plastic. Where the Z-Axis meets the Y-Axis is held in place by two top brackets (near the gear on the stepper is a bolt to the z alloy extrusion) and the bottom bracket. One flaw here is that there are no bolts to the z-axis on the bottom bracket. It was also cracked in two places so the structural support was low and the x-axis would droop over time. Not so handy. The plastic is about 12mm thick and smells like a 2.5D job done by a 3d printer 'just because'. So a quick tinker in Fusion 360 and the 1/2 inch thick flatland part was born. After removing the hold down tabs and flapping the remains away 3 M6 bolt holds were hand drilled. Notice the subtle shift on the inside of the part where the extrusion and stepper motor differ in size. It was quicker to just do that rather than try to remount and register on the cnc and it might not have even worked with the limited z range of the machine. The below image only has two of the three bolts in place. 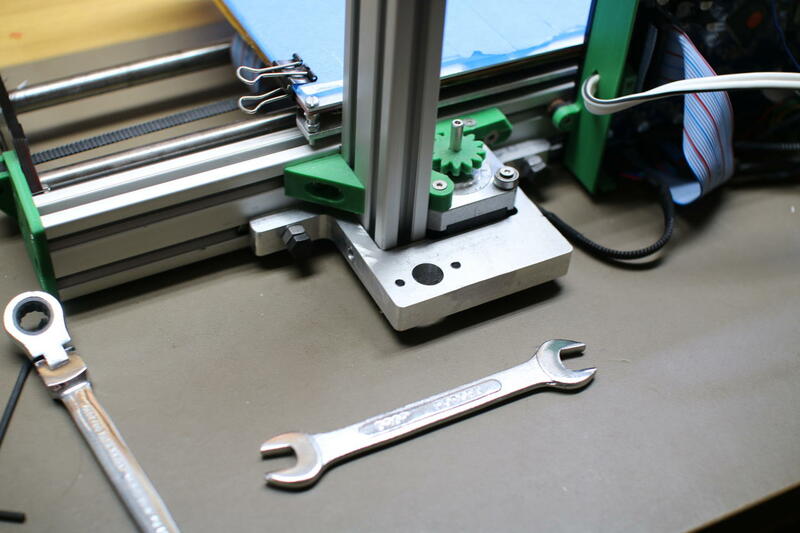 With the addition of the new bolt heading into the z axis the rigidity of the machine went right up. 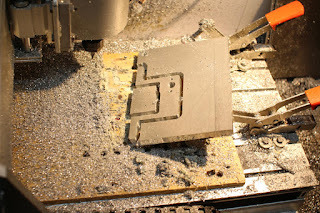 The shaft that the z axis is mounted onto goes into the 12mm empty hole in the part. This does open up the mental thoughts of how many other parts would be better served by not being made out of plastic.